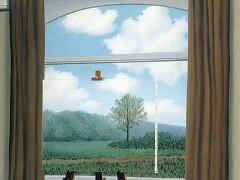 Known more for the philosophical motivations behind his works than the politics, in this particular piece Magritte portrays a gorgeous scene in which the beautiful rose seems to overtake the room and capture the viewers complete attention to the point where the details of the room and the snowy landscape outside are overlooked. 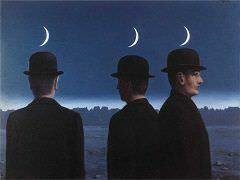 The inspiration for The Tomb of the Wrestlers originated from a conversation Magritte had with Harry Torczyner, a New York lawyer and poet, in 1960 surrounding the Soviet Union's 'tachiste' painters. 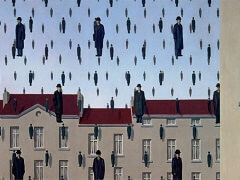 Tachisim is a French style of abstract painting that is similar to surrealism, but a style that Magritte was not comfortable with. He said to Torczyner, "They paint white on white, and they believe that this is an achievement". 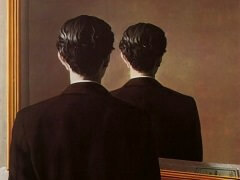 In response to Magritte's dismissal, Torczyner challenged him to paint, "a white rose, in a white room with a window looking on to a landscape covered with snow". 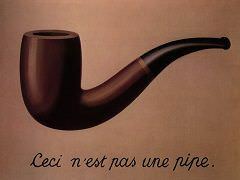 The work you see before you is what Magritte produced, with as minimal white as possible. 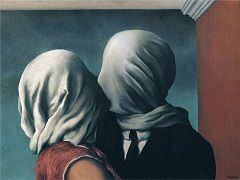 So why did Magritte choose to alter the challenge? Well painting the rose a 'revolutionary' red instead of white was his idea of recognizing Torczyner's trip to the Soviet Union, and the Red October that allowed for the Bolsheviks to govern Russia, and were then, in the 1960's, altering course after the death of Stalin. 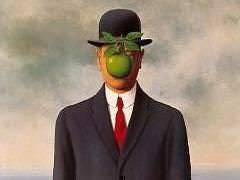 Thereby making this work a rather telling portrait of Magritte's sentiments at the time. 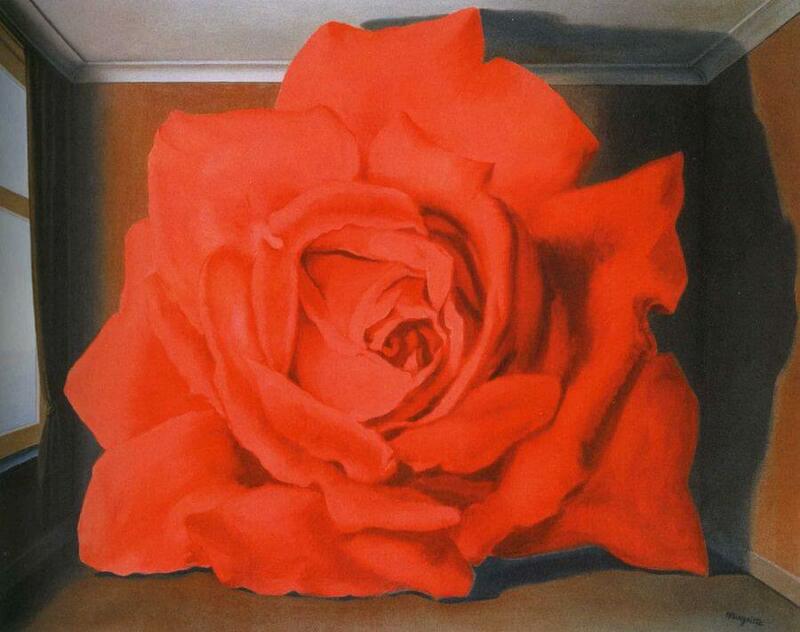 "When there is a rose, and one is sensitive to it, one makes it as big as I did so that the rose appears to fill the room," Magritte explains. The title, which Magritte took from a novel by French Symbolist writer Leon-Alinien Cladel, "Ompdrailles, le tombeau des luteurs" (1979), seems appropriate: like the rose, the fighters are something "grandiose," filling the tomb with their struggles.